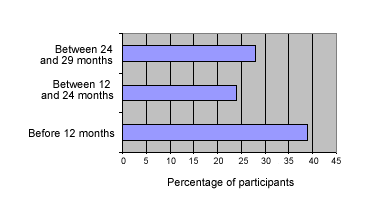 Preschool Students Grow Up: How Do Early Intervention Participants Fare as Adults? How does early intervention influence what happens to children as they grow into young adults? The Preschool to Adult Life Span (PALS) study being conducted by Carol Trivette and Carl Dunst at the Orelena Hawks Puckett Institute addresses this question by following 700 children with various disabilities who received early intervention in the 1970s and '80s. 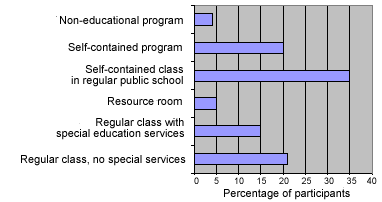 This study collects data concerning the characteristics of the child and family while in early intervention, information about the early intervention services they received, the child's participation at school, child and family functioning in elementary through high school, and the young adult's success after high school. Post-high school measures include information about vocational and educational success, physical and material well-being, and success in a variety of adult roles. Two hundred two of the study participants are now adults, and information about them has been collected and analyzed. This NewsBrief portrays some of the results. 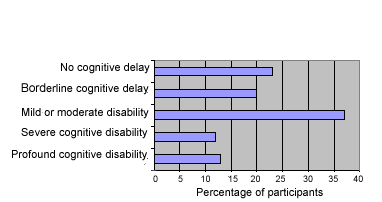 When the participants were in early intervention, their cognitive delay ranged from none to profound. 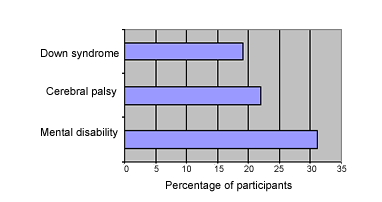 The most common diagnoses were Down syndrome, cerebral palsy, and mental disabilities. More than one-third of the children entered early intervention in the first 12 months of life. 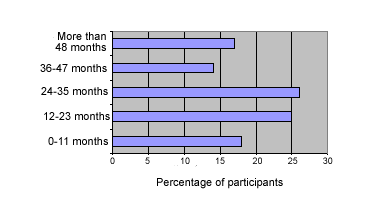 The average length of time these children participated in early intervention was 29 months. Some participated in early intervention for four years. Participants experienced a variety of educational placements during their school years. Parents' expectations for their high school students ranged from supported employment to college graduation. 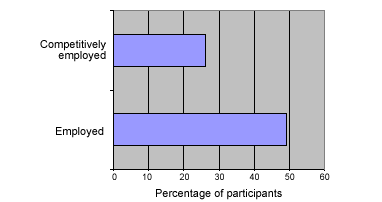 Many participants exceeded their parents' expectations. A total of 34% of the students earned a high school diploma or GED. Twelve percent (12%) of all the study participants obtained more training after high school, and 8% obtained a college degree. More young adults are employed than their parents expected, but fewer are competitively employed. Of those employed, 80% feel challenged by their work, 31% have been at one job longer than 5 years, and 73% work 30 hours or more per week. Of these participants, 23% consider themselves financially independent and 55% have checking or savings accounts. In regard to their physical and material well-being, 69% reported living with their parents and 25% have driver's licenses. After high school, these young adults access resources and services, with 84% reporting that they have the services they need. With respect to medical care, 98% have access to a physician and 90% have access to a dentist. Forty percent (40%) have private insurance and 55% receive Social Security Income. After high school, these young adults appear to be active people: 91% engage in activities with their families of origin (the families in which they were raised), 20% engage in activities with their nuclear family, and 55% engage in activities with friends. Fifty six percent (56%) attend religious services weekly, 81% dine outside their home at least once per week, 46% use a computer at least weekly, and 28% communicate with friends or relatives regularly through e-mail. Data from this first wave of 202 participants will continue to be analyzed, and data will continue to be collected on the remaining 500 children as they move through the elementary and secondary years and finally to their accomplishments after high school. As the sample size increases, the study will address the more complicated questions concerning the conditional and unconditional effects of early intervention and school experiences on young adult outcomes. The research in this study was supported by the Office of Special Education Programs at the US Department of Education, under Grant #H324C990059. For more information, contact Carol Trivette or Carl Dunst at the Orelena Hawks Puckett Institute, 128 S. Sterling Street, Morganton, NC 28655, trivette@puckett.org.